A source in the Dawa Party leader today that the Prime Minister outgoing Nuri al-Maliki gave up his claim the post of head the next government. 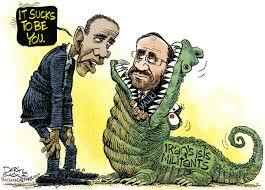 Congrats to Iraq’s New PM Abadi and yes, “so sorry Maliki”!!! Just so you don’t think I’ve been killed by a Hack Guru – I’m still alive and kickin’!!! I just don’t want to bogg you down with a bunch of “garbage posts” just for the sake of posting crap to get you to my website so I can make a buck off Ad Revenue – like so many of the Hack Gurus and other BS “Dinar” websites out there! As most of you know who have been following my website since I launched in nearly 2.5 years ago – I’m not about selling you crap. I’m doing this from my own money, and not expecting a darn thing in return for this website – the “RV” I believe will reward me enough when it does finally happen! 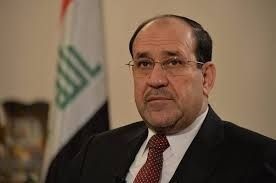 Speaking of the “RV” – I’ve been really encouraged today and Monday with all of the News which is confirming that Maliki is out and Abadi is in. Would I have liked it to have been Chalabi like I reported earlier – sure, but in fact, I would have pretty much liked anyone except Maliki. I believe Chalabi was a “red herring” for Maliki to focus on, meanwhile they were angling to put in Abadi – they said it would be a surprise, and it was! BREAKING!!!! Maliki OUT – Chalabi IN, as Iraq’s new Prime Minister! UPDATE: LINK TO ORIGINAL ARTICLE ARE WORKING AGAIN – CONFIRMED: 11:50AM (EST) Tuesday, June 17th, 2014. We understand from the article below that “Dictator” Maliki is OUT – and that Hakim’s #1 pick for Prime Minister of Iraq is Ahmed Chalabi!!! 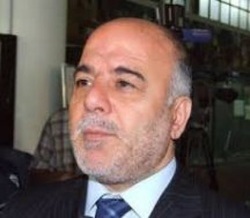 Is this man the new Prime Minister of Iraq? I learned (Orient) from sources in the national coalition that trend tends to call for the convening of the first meeting of the House of Representatives after the ratification of the results of parliamentary elections yesterday to elect the President of the Age, which Adnan al-Janabi of the national list and go to the election of the President of the Republic to proceed with the nomination of Ahmed Chalabi of the National Coalition prime minister. HOTT!!! Sources: Al-Maliki is ready to cede Third Mandate to not be Prosecuted!!!! Even though this news does not have anything to do with our favorite Hack Gurus, I could not resist re-posting it for you. Thanks to Marc G from my “Anti Hack Guru” Skype Room for bringing this Article to our attention! Enjoy! Don’t cry Maliki, they just HATE you!!! LJ’s Election Update for Wed, May 14th 2014 – A MUST READ!!! Last night LJ and the IQD Team had a really good Conference Call – I strongly urge you to go listen to that call either by phone or online. Today, LJ posted his comments and analysis of the newest News Articles put out today, which adds to his analysis from their call last night. Here is his update, which is VITAL for you to read and share with other Dinarians in our community. Reportedly Maliki/ state of law party has harvested roughly 1 million votes in the Iraq 2014 elections. Why is this relevant? Well, most don’t understand the complexity that goes into seat distribution in a 328 member parliamentary body. It is not business as usual as the Sainte-Laguë system changes the game. It has been mentioned time and again that not one party in Iraq’s recent parliamentary elections have been able to achieve more than 80 seats; making it virtually impossible for Maliki to return as prime minster for reasons i explained on the call last night. Also it is vital to utilize a little math to best approach the insignificance of Maliki’s often mentioned one million votes. Fact: 20 million represents the number of registered voters in Iraq of 34 million souls. Fact: 60%, of the above number represents 12 million eligible voters who participated on April 30, 2014. Fact: the seats obtained by parties will be instrumental in determining by majority who will prove, by consensus, to be selected and accepted as the next prime minister of Iraq.